Who are the people behind the technology that we love so much? We know the products, the websites, the online personalities but we want to learn more! 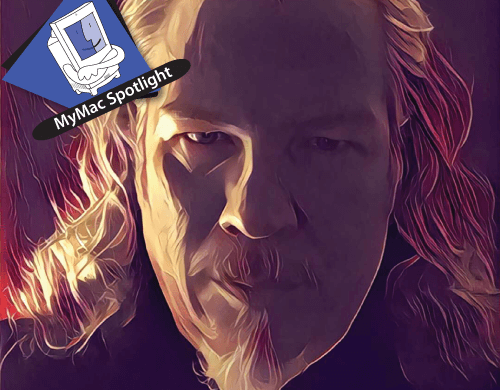 Every week here at MyMac.com, we will spotlight a company, developer or person that supports Apple users by creating solutions or entertainment for the Mac, iPhone, iPad, Apple Watch, Apple TV and other platforms we all use and love by asking them to answer seven questions. 1 – How did you get your start in technology? Well, this feller had himself one of them transistor radios, only it stopped working. And my pa, he had a fine work bench. All the tools. And my friend, he comes over and wants help him fixing that radio of his. Well, I didn’t know a transistor from a cavity magnetron back in them days, but we called up all these stores—one was all the way over in Tyler, pretty near 40 miles away, long distance and everything—and sure enough, they had the schematics for this radio. Darned near burned the place down fooling with that thing, but I’ve been hooked since. Just kidding. I’m not *that* old. I took programming classes in high school in the early 1980s on an Apple //e and learned BASIC and PASCAL. I had the bug, but it wasn’t until the mid 1990s I was able to get my first Mac (a Power Computing clone). That led to forming a Web development company, which led—bizarrely—to writing for an early Mac site. 2 – What is your favorite computer of all time? The PowerTower Pro G3 275 from Power Computing. It was the first G3 desktop ready to go and I was lucky enough to get my hands on a prototype. I was also stupid enough to give it back to Power Computing. I’m the cofounder and editor-in-chief of The Mac Observer. We bring context and depth to the world of Apple and technology. Analysis, tips, and reviews are our stock in trade, and we’ve been publishing since December 28th, 1998. 4 – What was your first job? Custodial services for a private MHMR facility. That’s Mental Health and Mental Retardation, what my state called the field at the time. 5 – What advice would you give to younger people just getting into technology? 6 – Who was your inspiration? For what? For TMO, my early inspirations were some of the writers I loved to read in Mac magazines. Bob LeVitus, Chris Breen, Andy Ihnatko, and a host of folks whose names escape me at the moment. For writing fiction, my two biggest inspirations are Dan Simmons and George R. R. Martin. J. R. R. Tolkien was hugely inspirational to me, too, as was Gary Gygax—or, rather, the gaming system he created called D&D. When I was a kid—before I discovered Tolkien—I drowned myself in the biographies of (mostly men, because [1970s]) from America in the 19th and 18th centuries. Kit Carson, Wild Bill Hickok, Buffalo Bill Cody, Davey Crocket, Daniel Boone, Sitting Bull, and particularly Crazy Horse. I couldn’t get enough of tales of the Sioux tribes (as they were called back then) and other Plains tribes. King Arthur and Charlemagne myths/stories/pseudo-history infused me with romantic ideals of justice and doing the right thing. Larry Niven took me to far-off worlds and times with his wonderful Known Universe books. Katherine Kurtz and her Deryni books loomed large in my youth, as did Anne McCaffrey’s Dragonriders series. And wow, Frank Herbert and Dune. That’s one of the few 1960s SciFi books that stands up to a modern eye. The whole series blew me away—I was lucky enough to see Mr. Herbert speak in 1984 when he was touring to promote God Emperor of Dune. He left us far too soon. Joss Whedon is another inspirational story teller for me. The man does arcs better than anyone in TV, and his willingness to kill characters has had a profound impact on everything we watch and read today. In general, I worship at the altar of excellence. When I see things that are amazing, it inspires me to try harder. Great movies, great books, great TV shows. Furniture, art, architecture, photography, gadgets, packaging, UIs and software as a whole—if it’s awesome, it inspires me to put more effort into whatever I’m doing. And of course, Steve Jobs and Jony Ive are both highly inspirational. Mr. Jobs’s unwillingness to accept good-enough has been an inspiration to me for decades. Jony Ive’s design aesthetic has had a profound effect on the world. I know most of those people/concepts aren’t tech-related, but we all find inspiration in different places. 7 – Where can people follow you online, and what is your website?